Raw Cambodian Hair is sourced from Cambodia and is known to have a medium luster. 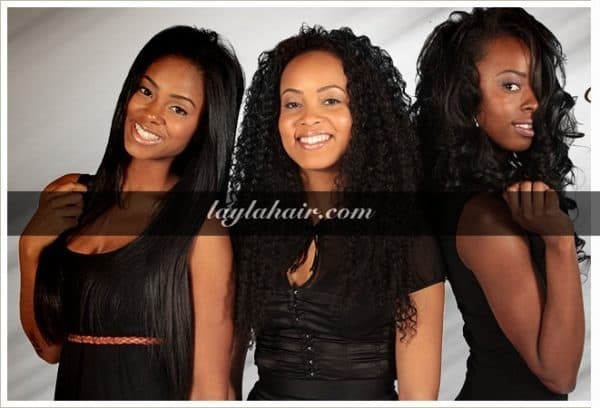 When taken care of properly, Cambodian hair Extensions will not tangle or mat and will maintain its silky appeal. In this week’s blog post, we’ll walk you through all of our hair extensions care, tips and tricks to ensure your Cambodian hair extensions lives along. Raw Virgin Cambodia Hair have minimal shedding. But a normal amount of shedding for curly textures. Because of its virgin curly hair texture, this hair requires lots of moisture and maintenance. Each day you will need to activate the curls with a water/conditioner mix and condition it with a moisturizing conditioner often. First, start by using a deep moisturizing shampoo and conditioner. Be sure to get a deep condition and then utilize a leave-in conditioner after washing. I recommend using a light, leave-in conditioner that doesn’t have a lot of buildups which will leave hair damaging residue behind. Spray the leave-in conditioner on your hair and allow it to air dry. If you are in a rush, you can gently blot dry hair extensions with a soft towel. After it dries, you can style it if you wish and wear it out during the day. If you want to be sure to keep the natural wave pattern of your virgin hair extensions, you can braid your hair in one or two braids when you go to sleep. Be sure to tie your hair in a quality satin scarf which should be readily available at your local beauty supply store. Even though you get Cambodian hair extensions are made of 100% Remy human hair. However, it can and may tangle – it’s normal and to be expected. The reason being is because tangles are caused by the friction of your natural hair rubbing against your hair extensions, which is why we never recommend you sleep, shower or swim with your extensions in. This will only mix all the hair together and create knots. The best way to keep your extensions tangle-free is to keep on top of regular brushing. Always have a paddle brush on hand so that even when you’re out and about you can still give your hair a quick run through. Make sure you brush your extensions every time you apply and remove them. On average, your natural hair will shed approximately 100 strands a day, and because our Raw Cambodian hair extensions are made of natural hair. You are able to expect some shedding throughout its lifespan. Every time you brush or style your extensions there will be light shedding. So don’t surprise or worry when this happens. This, however, does not mean to reduce the amount you brush your extensions. You can minimize shedding in other ways. Washing Your Extensions too much will dry out the hair which may cause them to shed. The more products you use, the more you will need to wash your extensions, so the best way to reduce shedding is to use a minimal amount of products when styling your hair. Your extensions have a beautiful, healthy finish already so you shouldn’t need much product to enjoy them. If you want more hold when curling your extensions, try pinning up the curls and leaving them overnight or even just for an hour to ensure the curls stay in place without the use of hairspray. If you do want to reach for hairspray, consider a lightweight formula which you can still easily brush through. Extra strength hairsprays will clog up your extensions, which means more washing. Remember everyone’s hair is different, so it’s always best to keep an eye on your own natural hair and your extensions to see how often they need to be washed and which products are best to use. Like natural hair, the best way to reduce damage is to keep things as hands-off as possible (except with the brushing!) and to avoid over-styling and over-washing. With a good routine, you can wear your Cambodian hair extensions for years on end and enjoy fuller, thicker and healthier looking locks.